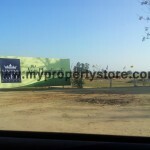 Chandigarh twin city- DLF New Chandigarh. DLF now replicates this “Quality of Life” with infusion of modern infrastructure into a virgin green environment by launching Chandigarh’s twin city – NEW CHANDIGARH. 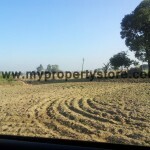 It is prominently located in the close proximity to the city of Chandigarh on Madhya Marg along the operational Chandigarh-Baddi road, 8 kms from Post Graduate Institute (PGI)/ Punjab University. 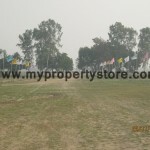 New Chandigarh poised to be Punjab’s most modern & forward cities that will house some of the biggest and the best amenities in terms of land infrastructure, medical facilities, commercial establishments, corporate environment, educational institutions, recreational and sports facilities and most importantly, lifestyle that is aspirational. It is a green sustainable project designed to suit the aesthetics of Punjabi culture with contemporary look and feel. 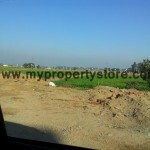 New Chandigarh is the next biggest development from DLF after Gurgaon. 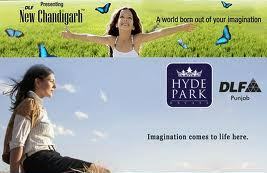 Hyde Park – is the 1st colony to be launched in New Chandigarh offering plots. 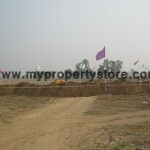 Plot sizes are 350 & 500 Sq Yards. Premium depend on the Loation & size of the plot. 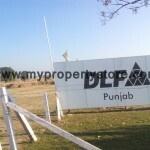 CHANDIGARH: Punjab empowered committee on mega projects cleared the first phase of Super Mega Mixed Use Integrated Industrial Park DLF Mullanpur , being developed by DLF Home Developers Limited over an area of 1,250 acre of land with an investment of Rs 2,700 crore at Mullanpur Local Planning Area under Greater Mohali Area Development Authority (GMADA). A state-of-the-art seven-star hotel being developed by Omaxe, coming up on 25 acre land, the hotel project outlay is Rs 200 crore. 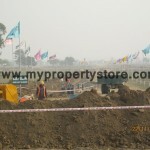 The construction activity is likely to take off soon as state government has allowed change of land use. 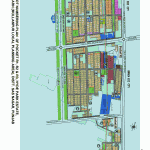 With coming up of luxury hotel in Mullanpur, tourism potential of this area would get a boost as the master plan presents an opportunity for a well-managed eco-town environment with a variety of new and exciting developments to encourage diversified growth in tourism that balances economic growth with environmental, cultural and community values. State government has recently approved Golden Peak Township Private Limited, a mega housing project of Omaxe with an investment of Rs 202.5 crore for development of an integrated township consisting of row housing, villas and plots over an area of 185 acre is coming up at Mullanpur. DLF has planned to invest Rs 1,000 crore in Mullanpur for the mega township project on around 170 acre land to provide employment to 5,000 people. 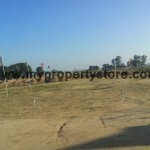 DLF Hyde Park ,New Chandigarh-Mullanpur Project,Mohali will be few minutes drive from Chandigarh City . DLF Hyde Park Project,Mohali will be very near to PGI hosital and Punjab University / Punjab Engineering College Chandigarh. 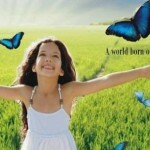 DLF Hyde Park Project will have very good connectivity with Baddi, Nalagarh and Mohali. 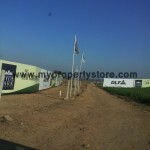 DLF New Chandigarh is Near to Proposed Amusment Park / Film City by U.T Government. 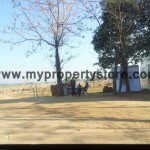 DLF Hyde Park is Very near Beautiful view of mountains Shivalik Hills. I can't read the text, please reset it. 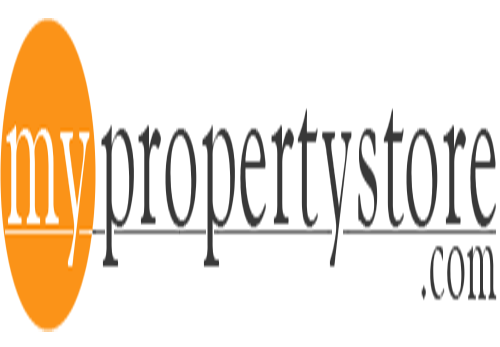 Disclaimer:- Any content mentioned on the website is for information purpose only and does not constitute any offer or guarantee whatsoever on the content mentioned above. Prices are subject to change without notice. It is solely your responsibility to evaluate the accuracy, completeness and usefulness of all opinions, advice, services, merchandise and other information provided and you are strongly advised to check these independently. 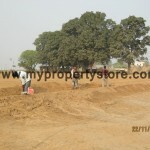 HOME WORKS shall not be liable for any deficiency in service by the builders/developers/sellers/property agents. “Thank you for showing interest in our website. We are in the process of revising our website in conformity with the Real Estate (Regulation and Development) Act, 2016 and the Rules made there under (“RERA”), which have been brought into effect from 1st May, 2017. Till the time our website is duly revised and updated, none of the images, material, stock photography, projections, details, project overviews , descriptions and other information that are currently available and/or displayed on the website, should be deemed to be or constitute advertisements, solicitations, marketing, offer for sale, invitation to offer, invitation to acquire, including within the purview of the RERA. You are therefore requested to verify all details and aspects of any proposed booking/acquisition of units/premises, directly with our authorised representatives. 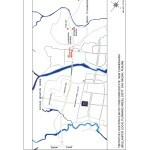 Kindly do not rely on the information contained on this website, until our revision and updation is complete. Please note, that we will not be facilitating any bookings or allotments based on the images, material, stock photography, projections, details, prject over view , descriptions that are currently available and/or displayed on the website.